I had done breast reduction surgery here and my surgery and recovery both went very smooth. I didn't have to face any infection and strong side effects at all. 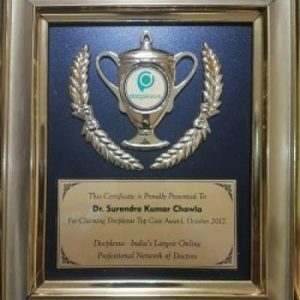 Dr. S.K Chawla is an experience and professional doctor who always choose the safest side for the patient while during the surgery. He and the staff of the clinic are very polite and understandable. My experience was great with them. Highly recommended. I had a great experience with this clinic, people were wonderful especially the Doctor, he had a lot of experience and was pretty friendly. My Gynaecomastia surgery went pretty well, I have no complications and I am recovering in a great speed. I think it is the best place for plastic surgery. 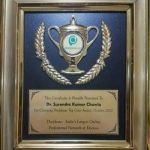 I consulted dr .sarika for my skin problem in south Delhi cosmetic clinic &got excellent result.she is too good in knowledge &skill. Very good doctor, answers all your queries and concerns properly with a smile. Highly recommended. Great personalised pre and post treatment care at affordable costs. Amazing results. Dr S Chawla has done a fantastic job in hair transplantation for me. It was absolutely pain free and outcome was very good. He is very knowledgeable and master of skills. I recommend his name to those who are planning to go ahead for cosmetic surgeries. Dr. Chawla is one of the finest doctors I have ever met. I met with an accident and my nose was completely injured. The damage was so intense that we all were worried and concerned. It was not only about getting my nose back in shape but about saving my life. Dr S.K Chawla came as a saviour! I am really thankful to him. Not just a perfectionist you are an amazing person who deals with lots of patience and try to answer our queries. Wish you lots of good luck and success ahead! Once again Thanks a lot Dr.! It was really an amazing and friendly experience with Dr. SK Chawla sir. On my first visit, he listened to all my queries patiently and helped to make decison for the treatment. Outcomes of surgury are excellent. Very much satisfied with Dr.SK Chawla. He is very nice person and having good expertise in his field. I would like to thank you very much for successful treatment and surgery conduct by you on my face. Must not forget Dr. S.k Chawla who is the most awesome doctor I came across and he did not even let me feel that I was having a surgery. I have wonderful experience.dr CHAWLA has transformed my look.result of my hair transplant is too good and satisfactory.thanks to dr CHAWLA..will recommend to everyone. Acne Treatment or pimples is the commonest skin problem of adolescence age in human being. It is basically an infection and inflammation of oil producing glands (pilosebaceous) of skin. It usually resolves on its own at age of mid twenties. It present as non inflamed white or black small nodules also known as comedones. it also produce variable sized inflammatory nodules or pus containing nodules.Acne are not only present on face but also on back, upper arm and neck. Sometime acne may be associated with hormonal problems in the body specially in adult females. These females may have excessive facial hair growth, irregular menstrual cycles, extra weight gain, and change in voice quality. Acne comes in crops and keep on flaring off and on. Its flaring has no relation with any particular diet, pollution, whether but it has definite relation with the oil producing gland of skin. Few studies have shown correlation with oils, Facial ( facial massage ), repeated exposure to cooking oil vapor. Sometime, sunscreen and cosmetics, threading, waxing moist humid environment and stress has some stimulating effects on acne or pimples. Presence of Acne on young face ( male or female) has not only cosmetic effect but also psychological effect. It affects the self esteem and confidence of a person. After successful treatment, it leaves behind certain telltale signs like pigmented small spots and scars of variable size and depth. Sometime severe type of acne may cause atrophy or loss of facial fat which produce multiple cosmetically unacceptable indentations in facial skin. Treatment of variable grade of acne and post acne scar and pigmentation are the most challenging cosmetic problem. Before starting treatment proper counseling of a person is mandatory . One should understand that acne is self limiting problem which subside with course of time. Treatment of acne is to prevent them turning into severe acne. 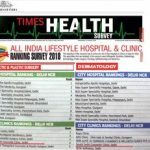 For more information, please contact our South Delhi Cosmetic Clinic, and book in for a Acne treatment Consultation with best Cosmetic Surgeon in Delhi. Our experienced Cosmetic Surgeon in Delhi will be delighted to discuss your goals and will not only advise you but also guide you accordingly. We offer cost effective Acne treatment at the most affordable Cosmetic Surgery prices in Delhi . 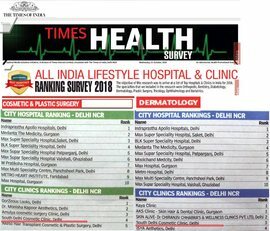 South Delhi Cosmetic Clinic (SDCC) has been established in Delhi's posh locality of C R Park South Delhi region of Delhi India and is owned and operated by Dr.S.K.Chawla, renowned Senior Plastic and Cosmetic Surgeon of Delhi expertise in high end Cosmetic procedures. Can You Change Your Nose Shape Without Surgery? How Much Does a Chin And Jaw Surgery Cost In India?